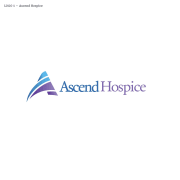 Ascend Hospice is a for-profit hospice company with a growing presence in the greater Richmond area of central Virginia. We are dedicated to providing compassionate care and services to terminally ill clients and their families in their homes and residence facilities. We seek to care for the whole person - mind, body, and spirit. To that end, we provide support services (social work, chaplaincy, etc.) and alternative therapies (aroma, pet, massage, etc. ), in addition to quality medical care. We believe that comfort and compassion should be available to those who have moved beyond curative medicine. Our goal is to preserve dignity and emphasize the importance of quality of life as we seek to help create a meaningful final chapter in the lives of our clients and their families.